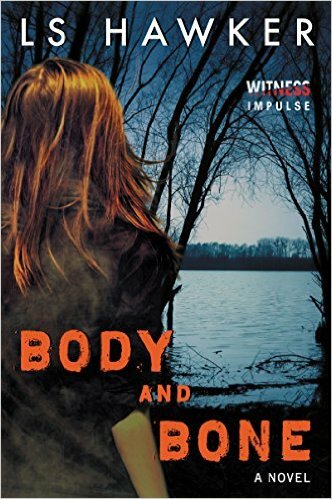 Body and Bone (HarperCollins Witness Impulse) releases May 3, 2016! Armed with a B.S. in journalism from the University of Kansas, she had a radio show called “People Are So Stupid,” edited a trade magazine, and worked as a traveling Kmart portrait photographer, but never lost her passion for fiction writing. She’s got a hilarious, supportive husband, two brilliant daughters, and a massive music collection. She lives in Colorado but considers Kansas her spiritual homeland. LS Hawker is also the author of the HarperCollins Witness Impulse thriller The Drowning Game.